Social Samosa brings you all the latest news, platform updates and trends dominating the digital ecosystem. 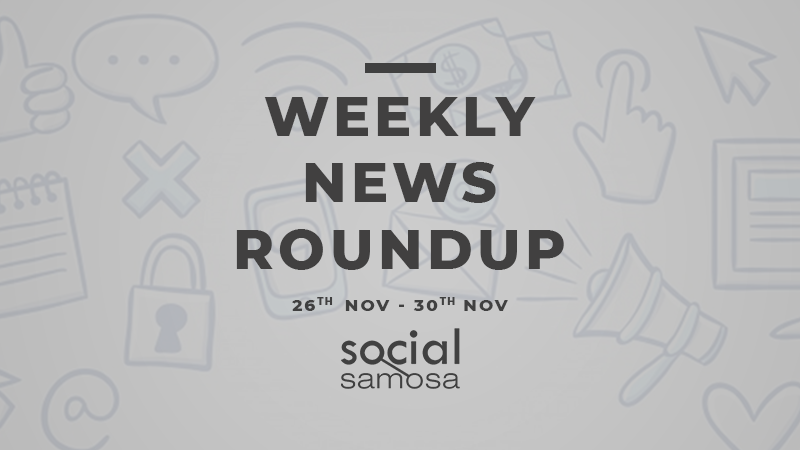 Social Media News this week was dominated by Twitter banning deadnaming, Snapchat entering India with a hyper-local strategy, and Facebook expanding in video ads. Facebook also saw two key exits in the week, while TikTok opened doors for monetization. Instagram further updates the profile tab, puts more emphasis on the bio of the user and follower/following count is nudged below in smaller fonts. Read more here. WhatsApp is testing a new feature which lets users see the preview of a video in the notification bar itself, without opening the app. Read more here. Communities are core to the success of every business. But building a community is not that easy. You have to figure out the right people to connect with and how best to engage them, and then build those interactions into sustainable relationships you can foster over time. LinkedIn- the world’s largest professional network recently introduced LinkedIn Pages – the next generation of LinkedIn Company Pages. Read more here. Neeraj Arora, Chief Business Officer, WhatsApp announced that he’s leaving the company. Co-Founders Brian Acton & Jan Koum resigned about a year ago and earlier this year, respectively. Read more here. YouTube is offering it’s Premium and YouTube Music services at discounted rates to students in the United States. YouTube Premium is $6.99 a month instead of $12.99 & YouTube Music is $4.99 instead of $9.99. Read more here. Twitter expands it’s Hateful Conduct Policy, and has now forbidden deadnaming and misgendering transgenders in the wake of the updated policy and expanded reporting options. Read more here. Snapchat has collaborated with Comscore, an American analytics company, hereon content partners and advertisers would have access to third-party data. Read more here. Over three million people tune in for Facebook and Priyanka Chopra’s #SocialForGood Live-athon. And 15,244 donations were received in four hours from more than 57 cities for causes ranging from mental health awareness to cyberbullying to women’s entrepreneurship. Read more here. Snap Inc., makers of Snapchat, the popular social camera app, today announced the launch of a newly localised Discover, tailor-made for the growing community of Indian Snapchatters, through partnerships with nearly a dozen media brands, all premiering within the app over the next several weeks. Read more here. TikTok today launched Innovative Digital Advertising Solutions in India at ad:tech, the leading digital marketing advertising conference in the country. Read more here. Instagram is introducing two new improvements to make it easier for people with visual impairments to use the platform. Read more here. Facebook is testing a feature that would let you ban certain words, phrases or emojis that appear in comments on your timeline. Read more here. Anand Chandrasekaran, Director, Platform, Product Partnerships, Facebook has announced his exit from the social media giant. In his two year stint, Chandrasekaran played an integral role building Messenger as a platform and bringing big-ticket clients such as Apple, Spotify, KLM, and T-Mobile on board. Read more here. With elections currently ongoing in the states of Chattisgarh, Mizoram, Madhya Pradesh, Rajasthan and Telangana, Twitter saw more than 48 lakh Tweets in relation to the #AssemblyElections2018 over the past two months (Oct 1 – Nov 28, 2018). Read more here. Facebook hosted India’s first ‘Creator Day’ in Mumbai, a daylong event uniting video creators from all over the country, to educate and create awareness about its efforts to help them manage their presence, engage their fans, and build their business on the platform. Read more here. YouTube to launch a Story feature called Reels for Creators with over 10,000 subscribers. Read more here.